What could you do with $250? Buy a one-way plane ticket? Splurge on an evening out? 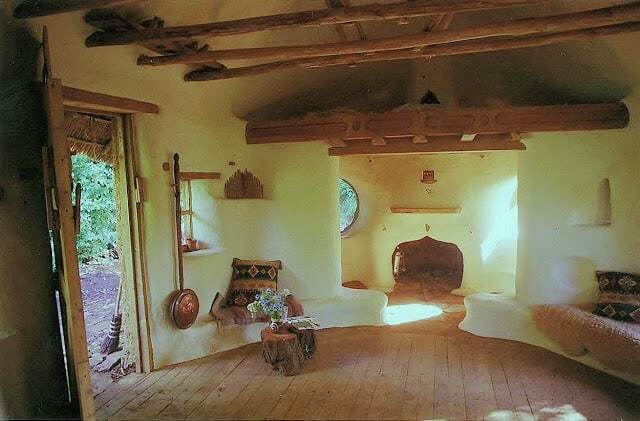 What about build a charming little cob home, in which you – or someone else – might live? If you chose the last option, you’d be in good company with Michael Buck, a British farmer who hand built the charming abode shown below. Oddity Central reports that the 59-year-old retired art teacher from Oxfordshire crafted the tiny house in his garden for a mere £150 (USD $250). He did this by using no power tools and using only materials that he could find. In addition, he didn’t need to pay any special permits, as the cob home is considered a summer home. Buck spent two years collecting local materials which he foraged or salvaged himself. He also drew up the design on the back of an envelope. The cob home’s floorboards were from a neighbor’s derelict boat, and the glass for the windows was salvaged from a scrapped truck. 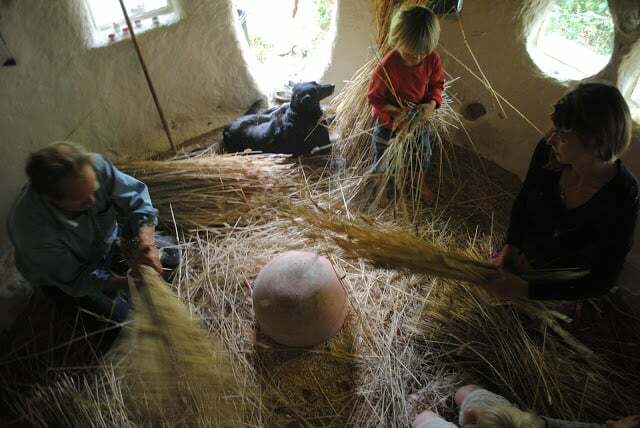 The roof’s thatching is straw which he gathered and hauled himself from adjacent fields. The $250 accounts for what he paid for straw and nails. The farmer now rents this cozy 300-square foot house to a woman working at a nearby dairy farm, which allows her to pay rent in fresh milk. Undoubtedly, amazing things can be created with a bit of determination and integrity. And, perhaps, with a couple hundred dollars.